Prospective home sellers are often in a fix as to what they should quote as the selling price since it depends on a number of factors. Here’s a brief guide on what they should watch out for. Of late, there has been a lot of speculation in the market is it good time to sell, is it good time to buy and the likes. Knowing the market trends can be of help. Many sellers feel that since the property market is registering a lag in terms of sales, perhaps it is the best time to sell and make the most while prices haven’t dipped too much. This is called distress sales. Know that there is a way out and do not be in a hurry to dispose your property. While the capital market is not faring well, the rental market is performing well. In active markets such as Bengaluru, Chennai, Delhi-NCR and Mumbai, rental values are rising. Putting up your house on rent and enjoying the returns is a good way of dealing with the situation. When the market picks up, you can plan to sell when you come across a befitting deal. It is advisable to be transparent with the buyer. 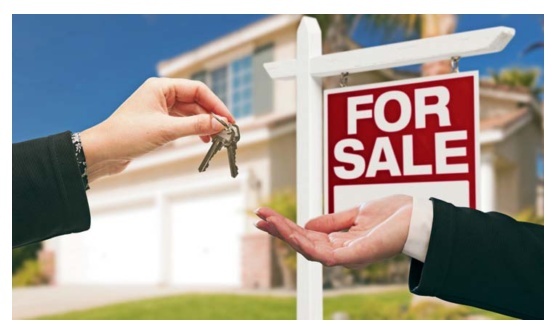 Ideally you should tell the buyer all the pros and cons of buying your property, information such as neighbourhood, amenities or lack of it, etc. However, do not advertise negatively. Reasons such wanting to sell a house because of a recent death or a divorce may work unfavourably. Also avoid filtering prospective home buyers on the basis of caste and religion. And keep in mind that giving the impression that you are in a hurry to sell will often get you a price lower than what you are expecting. Conservative buyers always want to play safe. If you are keen on selling your property, market it well. It may not be a good idea to depend on a broker entirely. While brokers and agents are indispensable, especially when you may not be in a position to market your property as widely as they do, make sure you are aware of the market trends as well. Urban population is going online and therefore even the remotest of information is not hidden. Real estate portals give you an idea about how competitively property prices are listed in your locality. You could always search online to know these as well as to interact with prospective buyers. Although listed values are not the final price, in the absence of any clear market data, these help you understand market nuances. Nobody wants to settle for less. If a buyer is parting with his precious savings, he will make sure that he is putting in his money into something concrete. It is advisable that you make a list of lifestyle conveniences that your house or its location offers. Vijayan talks of hospitals, schools, hangouts in the house’s vicinity. It adds value to your home and while the negotiation is going on you would be able to pitch better. Apart from the social fabric, figure out how your home in itself could be a good show. Are the interiors worth a pitch? If your house is fully furnished, has provisions for air conditioning, auto climate adjust, renovated rooms to cater to young working professionals, automated fittings and intelligent lighting, a private terrace etc. Even 24×7 water and power back up can be a big advantage especially in cities like Chennai and Bengaluru where private water tankers are not unheard of. If the locality is well maintained by civic authorities it is a feather in your cap as well.